Marina Prusakova was born in Molotovsk on July 17, 1941. She lived with her mother and stepfather until 1957 when she moved to Minsk where she lived with her uncle, Ilya Prusakova, who worked at the Ministry of Internal Affairs (MVD). Marina worked as a pharmacy worker in a local hospital and in February, 1959, met Lee Harvey Oswald at the city dance hall. Six weeks later the couple got married. The following year the couple had a daughter. Oswald soon became disillusioned with life in the Soviet Union and in June, 1962, he was given permission to take his wife and baby daughter to the United States. The Oswald family settled in Fort Worth, Texas. Later the family lived in Dallas and New Orleans. Oswald also became active in left-wing politics and joined the Fair Play for Cuba Committee. Marina later claimed that on 12th April, 1963, Oswald attempted to assassinate General Edwin Walker, a right-wing political leader. She reported that she "asked him what happened, and he said that he just tried to shoot General Walker. I asked him who General Walker was. I mean how dare you to go and claim somebody's life, and he said "Well, what would you say if somebody got rid of Hitler at the right time? So if you don't know about General Walker, how can you speak up on his behalf?." Because he told me... he was something equal to what he called him a fascist." In September, 1963, Marina Oswald moved to Dallas to have her second child. Lee Harvey Oswald apparently traveled to Mexico City where he visited the Cuban Embassy and attempted to get permission to travel to Cuba. His application was turned down and after trying to get a visa for the Soviet Union he arrived in Dallas in October, 1963. Marina and June were living with a woman called Ruth Paine. 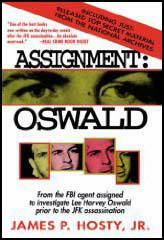 Oswald rented a room in Dallas and with the help of Paine, he found a job at the Texas School Book Depository. At about 12.30 p.m. the presidential limousine entered Elm Street. Soon afterwards shots rang out. John F. Kennedy was hit by bullets that hit him in the head and the left shoulder. Another bullet hit John Connally in the back. Ten seconds after the first shots had been fired the president's car accelerated off at high speed towards Parkland Memorial Hospital. Both men were carried into separate emergency rooms. Connally had wounds to his back, chest, wrist and thigh. Kennedy's injuries were far more serious. He had a massive wound to the head and at 1 p.m. he was declared dead. Lee Harvey Oswald was seen in the Texas School Book Depository before (11.55 a.m.) and just after (12.31 p.m.) the shooting of John F. Kennedy. At 12.33 Oswald was seen leaving the building and by 1.00 p.m arrived at his lodgings. His landlady, Earlene Roberts, later reported that soon afterwards a police car drew up outside the house and sounded the horn twice and moved on. Roberts claimed that Oswald now left the building. At 1.16 p.m. J. D. Tippet, a Dallas policeman, approached a man, later identified as Oswald, walking along East 10th Street. A witness later testified that after a short conversation Oswald pulled out a hand gun and fired a number of shots at Tippet. Oswald run off leaving the dying Tippet on the ground. Twenty minutes later, Johnny Brewer, a manager of a shoe shop, saw a man (Oswald) who appeared to be hiding from passing police cars. He called the police after he saw the man enter a cinema. When the police arrived Brewer accompanied the officers into the cinema where he pointed out the man he had seen acting in a suspicious manner. After a brief struggle Oswald was arrested. The police soon found out that Lee Harvey Oswald worked at the Texas Book Depository. They also discovered his palm print on the Mannlicher-Carcano rifle that was found earlier that day. 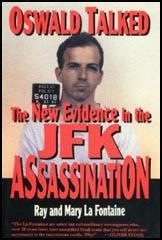 Other evidence emerged that suggested that Oswald had been involved in the killing of John F. Kennedy. Oswald's hand prints were found on the book cartons and the brown paper bag. Charles Givens, a fellow worker, testified that he saw Oswald on the sixth floor at 11.55 a.m. Another witness, Howard Brennan, claimed he saw Oswald holding a rifle at the sixth floor window. The police also discovered that the Mannlicher-Carcano rifle was purchased under the name A. Hiddell. When he was arrested, the police found that Oswald was carrying a forged identity card bearing the name Alek Hiddell. The rifle had been sent by the mail order company from Chicago to P.O. Box 2915, Dallas, Texas. The Post Office box belonged to Oswald. While being interrogated by the Dallas Police, Oswald denied he had been involved in the killing of Kennedy. He claimed that he was a "patsy" (a term used by the Mafia to describe someone set up to take the punishment for a crime they did not commit). On 24th November, 1963, the Dallas Police decided to transfer to Lee Harvey Oswald to the county jail. As Oswald was led through the basement of police headquarters a man rushed forward and shot him in the stomach. The gunman was quickly arrested by police officers. Lee Harvey Oswald died soon afterwards. The man who killed him was later identified as being Jack Ruby. After the assassination of John F. Kennedy Marina was taken by the Federal Bureau of Investigation and kept at the Inn of the Six Flags Hotel. Threatened with deportation, she agreed to give the authorities all the information she had. Some of this was information was later used by the Warren Commission to suggest that her husband was the lone assassin. In 1965 Marina married Dallas carpenter, Kenneth Porter and went to live in Richardson, Texas with her two daughters and her new husband. Later she gave birth to a son. After the assassination of John F. Kennedy, the journalist Priscilla Johnson befriended Marina Oswald, and the two spent considerable time together. According to Johnson, she spent thirteen years researching Marina and Lee, before it was published in 1977. At first Marina accepted the truth of the Warren Commission but over the years she has began to question the role her husband played in the killing of John F. Kennedy. She was especially influenced by the House Select Committee on Assassinations report published in 1979. Marina later remarried and became known as Marina Oswald Porter. In the 1990s she became involved in a campaign to clear the name if her former husband. In April 1996 she wrote that : "At the time of the assassination of this great president whom I loved, I was misled by the "evidence" presented to me by government authorities and I assisted in the conviction of Lee Harvey Oswald as the assassin. 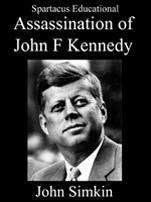 From the new information now available, I am now convinced that he was an FBI informant and believe that he did not kill President Kennedy." James McDonald: Did he say why he left the United States? Did he tell you or anyone in your presence? Marina Oswald: I do not recall that. James McDonald: Do you recall asking him why he was in Russia? Marina Oswald: I do not remember if I asked him at that particular evening. James McDonald: Did he tell you where in the United States he was from? James McDonald: Can you recall when he first expressed any political views to you? Marina Oswald: Not really. The politics really weren't discussed in the sense comparing two countries, which one is better. James McDonald: Did he ever tell you he was a Communist? James McDonald: Or a Marxist? James McDonald: Or a Trotskyite? James McDonald: Before or after you got married, can you recall what political views he was expressing to you then? Marina Oswald: Well, the political views never have been emphasized in the relationship at all. James McDonald: When do you recall he first told you why he left the United States to come to Russia? Marina Oswald: So anyway he said that being young, he just wanted to see - I mean he read something about Soviet Union and he wanted to see for himself what life looked like in Soviet Union. James McDonald: Do you recall him expressing dissatisfaction with the United States? Marina Oswald: No, I do not recall, not at that moment, I mean not at the beginning of the relationship, if he was saying something for or against the United States. James McDonald: You are saying at the beginning of your relationship you don't recall him saying anything for or against the United States? James McDonald: When do you recall him first expressing opinions against the United States? Marina Oswald: A few months after the marriage when I found out that he is wishing to return to his homeland. Then he started complaining about the bad weather in Russia and how eager he will be to go back. James McDonald: Can you recall Oswald expressing at this time, soon after your marriage but prior to the return, prior to your return to the United States, do you recall him expressing any views about the United States and its political system, either pro or con, for or against. James McDonald: And specifically regarding John Kennedy? Marina Oswald: What I learned about John Kennedy it was only through Lee practically, and he always spoke very complimentary about the President. He was very happy when John Kennedy was elected. James McDonald: And you are saying while you were still in the Soviet Union he was very complimentary about John Kennedy? Marina Oswald: Yes, it seemed like he was talking about how young and attractive the President of the United States is. James McDonald: Can you recall during this time when he ever expressed any contrary views about Kennedy? James McDonald: Did you ever ask him directly why did you come to the U.S.S.R.? Marina Oswald: I probably did. James McDonald: Can you recall what his answer was? Marina Oswald: Well, he said that he was always curious about Soviet Union, and he bought tourist visa. I asked him how did he got in the United States, I mean to Soviet Union, I am sorry. He said that he bought visa or whatever you call it, asked for permit to enter the country through Finland as a tourist, and then he asked to stay. Richardson Preyer: Did you ever suspect that Lee might be a spy of some sort for either the Soviet KGB or for the U.S. CIA? Marina Oswald: It did cross my mind sometime during our life in Russia; yes, because he will be sitting with those papers and writing something in English, and I don't know. Maybe he was making reports to somebody and didn't want me to know. Richardson Preyer: When it crossed your mind, did you think he was a spy for the United States or for the Soviet Union? Marina Oswald: For United States. Richardson Preyer: And you based that on the fact that he often was writing notes in English which you did not understand. Marina Oswald told the Warren Commission that the rifle found on the sixth floor was "the fateful rifle of Lee Oswald." This statement is meaningless, since Marina Oswald's expertise in firearms identification included her inability even to distinguish between a rifle and a shotgun. 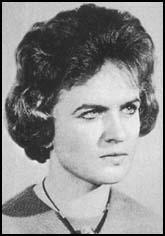 She also testified that she heard Oswald practice operating the bolt action of his rifle. The commission produced no evidence to verify that Marina Oswald was able to distinguish the sound of this particular rifle, to the exclusion of all other weapons. She also told the commission that the rifle was wrapped up inside a blanket in the garage of the home in Irving, Texas, where she lived between 24 September and 22 November 1963. The owners of the Irving home, Ruth and Michael Paine, both testified they had actually picked up the blanket and moved it around in the garage and were completely unaware that it contained a rifle. In a memorandum that the Warren Commission suppressed from its Report and from its twenty-six volumes of published evidence, J. Wesley Liebler, the commission counsel responsible for this section of the Warren Report, stated that "the fact is that not one person alive today (including Marina) ever saw that rifle in the Paine garage in such a way it could be identified as being that (Oswald's) rifle." Twenty-five years after the assassination of President Kennedy, Lee Harvey Oswald's widow says she now believes Oswald did not act alone in the killing. ''I think he was caught between two powers - the government and organized crime,'' said Marina Oswald Porter in the November issue of Ladies' Home Journal, published Tuesday. Testimony by Oswald's widow, who married Dallas carpenter Kenneth Porter in 1965, helped the Warren Commission conclude that a deranged Oswald acted alone in the Nov. 22, 1963, assassination. ''When I was questioned by the Warren Commission, I was a blind kitten,'' she said. The commission, appointed to investigate the assassination, concluded it was the work of a single gunman, Oswald. But in 1979, the House Select Committee on Assassinations, relying in part on acoustical evidence, concluded that a conspiracy was likely and that it may have involved organized crime. ''He was taught the Russian language when he was in the military. Do you think that is usual, that an ordinary soldier is taught Russian? Also, he got in and out of Russia quite easily, and he got me out quite easily,'' said the Russian-born Porter. She had emigrated from the Soviet Union in 1961 after marrying Oswald, who had defected to the Soviets and then changed his mind and returned to the United States. In the months preceding the assassination, a man posing as Oswald reportedly appeared in several public places in the Dallas area. ''I learned afterward that someone who said he was Lee had been going around looking to buy a car, having a drink in a bar. I'm telling you, Lee did not drink, and he didn't know how to drive. ''And afterward, the FBI took me to a store in Fort Worth where Lee was supposed to have gone to buy a gun. Someone even described me and said I was with him. This woman was wearing a maternity outfit like one I had. But I had never been there,'' she said. Porter said she hopes the truth will emerge when the Warren Commission materials are declassified. I am writing to you regarding the release of still classified documents related to the assassination of President Kennedy and to my former husband, Lee Harvey Oswald. 1. The Dallas field office and headquarters FBI reports on the arrests of Donnell D. Whitter and Lawrence R. Miller in Dallas on November 18, 1963 with a carload of stolen US army weapons. I believe that Lee Oswald was the FBI informant who made these arrests possible. I would also like to know what your board has done to obtain the reports of the US Marshal and the US Army on the same arrests, and the burglary these men were suspected of. 2. The records of the FBI interrogations of John Franklin Elrod, John Forrester Gedney and Harold Doyle (the latter men were previously known as two of the "three tramps") in the Dallas jail November 22-24, 1963. All of these men have stated that they were interrogated during that time by the FBI. 3. The official explanation of why the arrest records for Mr. Elrod, Mr. Gedney and Mr. Doyle, as well as for Daniel Wayne Douglas and Gus Abrams were placed "under federal seal" in the Dallas Police Records Division for 26 years as described by Dallas City Archives supervisor Laura McGhee to the FBI in 1992. 4. The full records of the interrogation of Lee Harvey Oswald, including his interrogation in the presence of John Franklin Elrod as described by Elrod in an FBI report dated August 11, 1964. 5. The reports of army intelligence agent Ed J. Coyle on his investigation of Captain George Nonte, John Thomas Masen, Donnell D. Whitter, Lawrence R. Miller, and/or Jack Ruby. I am also requesting that you obtain agent Coyle's reports as army liaison for presidential protection on November 22, 1963 (as described by Coyle's commanding officer Col. Robert Jones in sworn testimony to the House Select Committee on Assassinations). If the army does not immediately produce these documents, they should be required to produce agent Coyle to explain what happened to his reports. 6. Secret Service reports and tapes of that agency's investigation of Father Walter Machann and Silvia Odio in 1963-64. 7. Reports of the FBI investigation of Cuban exiles in Dallas, to include known but still classified documents on Fermin de Goicochea Sanchez, Father Walter Machann and the Dallas Diocese Catholic Cuban Relocation Committee. These would include informant files for Father Machann and/or reports of interviews of Father Machann by Dallas FBI agent W. Heitman. 8. The full particulars and original of the teletype received by Mr. William Walter in the New Orleans FBI office on the morning of November 17, 1963, warning of a possible assassination attempt on President Kennedy in Dallas. I now believe that my former husband met with the Dallas FBI on November 16, 1963, and provided informant information on which this teletype was based. 9. A full report of Lee Harvey Oswald's visit to the Dallas FBI office on November 16, 1963. 10. A full account of FBI agent James P. Hosty's claim (in his recent book, Assignment Oswald) that Lee Harvey Oswald knew of a planned "paramilitary invasion of Cuba" by "a group of right wing Cuban exiles in outlying areas of New Orleans." We now know that such an invasion was indeed planned by a Cuban group operating on CIA payroll in Miami, New Orleans, and Dallas - the same group infiltrated by Lee Oswald. We know this information only from documents released since 1992, as described in the book I have mentioned. On what basis did agent Hosty believe Lee "had learned" of these plans, unless Lee himself told him this? I am therefore specifically requesting the release of the informant report that Lee Oswald provided to agent Hosty and/or other FBI personnel on this intelligence information. did not kill President Kennedy. It is time for Americans to know their full history. On this day when I and all Americans are grieving for the victims of Oklahoma City, I am also thinking of my children and grandchildren, and of all American children, when I insist that your board give the highest priority to the release of the documents I have listed. This is the duty you were charged with by law. Anything else is unacceptable - not just to me, but to all patriotic Americans. (6) Marina Oswald Porter, statement published on 17th September, 1996. When I came to this country I came as a friend. I was then and am now. When the assassination happened I believed it was my obligation - anybody's obligation - to abide by the law of this land. I testified to the Warren Commission and I obliged any request the government made of me. I agreed with the findings of the Warren Commission not because I really understood everything about it, but because I had enough trust that they investigated honestly and that the conclusions they came to were based on the highest form of investigation. So, with my blind faith, I accepted their conclusions. Of course, at that time lots of people in this country who knew more about what was going on questioned the findings of the commission. And I defended the commission against those people, and I wanted all those so-called conspiracy people to just go away. Then there was a second investigation because the people demanded it. This was the investigation of the U.S. House Select Committee. And I testified for them. And their conclusion was possible conspiracy, meaning that the assassination involved more than one person, and they stopped it at that. Even then, I wasn't very pleased. I wasn't very pleased because when I was testifying for them and I thought they were honest - after so many years, and because the people demanded it I asked them questions that would be answered just for me, and I was told that I was there only to answer questions, not to ask them. So I knew that that investigation was doomed. And how can I respect the conclusions of the House Select Committee, when they locked up their records? I gave the two investigations everything I had. Then later I found out that the FBI knew more about me than I knew about myself. Literally, even my underwear was investigated. And I have no problem - they didn't have to trust me, why should they? I don't hold anything against that. But my private matters were investigated - even when they had all the proof that I was nobody's "spy" and I feel that this was for blackmail - my house was bugged, and I saw pictures of me which I knew nobody but the FBI could have done. I've seen with my own eyes that any kind of gossip from people even remotely related to me by name in Russia - any kind of nonsense - is in the record. You cannot be more thorough than that. And even so, I don't object. But now I think, it's my turn to ask the questions and for the FBI to clean their own laundry. I don't want to know everything about the FBI, but since they claim that I am wife of the assassin, and I have to defend myself , only in that regard am I sticking my nose in their business. And I'm not begging for answers. I think I've earned them, and I think they should give them to me.